The first night of Special Town Meeting began with a teller count caused by a glitch in the electronic voting system and a debate over whether or not to defer Article 9 – on adding liquor licenses – to Nov. 15. Once under way Town Meeting members tackled budget amendments, special Town Meetings within the special Town Meeting and the ninth school project. Vote: Passed an amendment in a separate Special Town Meeting. What happened: A two-thirds vote passed the separate Special Town Meeting article, which appropriated funds for three projects and approved amendments to the budget. Town Meeting approved appropriations of $340,000 or any other sum, and $320,000 or any other sum, to be used for two separate Water and Sewer Enterprise Fund capital improvement projects. The third project, which came as an amendment to article three and thus prompted the Special Town Meeting, requested the appropriation of $50,000 to implement Traffic Signal Prioritization on the MBTA’s Green line. What happened: In April, the High School Building Committee unanimously voted to support creation of a ninth grade academy at 111 Cypress St. and improve science facilities and collaborative space at the main high school building. While Town Meeting member and Brington Road resident Kim Smith noted that living across from a new high school building would be an adjustment, she said she believed that 111 Cypress St. was the best option. Smith also thanked selectmen for their communication about the project. In response to concerns that the owner would fight the town taking the property by eminent domain, Town Counsel Joslin Murphy said she did not believe he would be successful. “Certainly a school is a valid public purpose,” Murphy said. First Special Town Meeting, Article 1: An amendment to Article 5, to appropriate funding for feasibility and design of a two-site option instead of funding design of a school at a new site only. What happened: Before opening discussion on the ninth school, Town Moderator Edward Gadsby cautioned speakers against going into the weeds with debate on specific site options. “This is not a debate in which we will be debating the relative merits or demerits of the various school sites under consideration,” Gadsby said. The amendment came in response to calls for due diligence and a two-site option like expanding Pierce Elementary School in north Brookline and creating a second school in south Brookline. He reminded Town Meeting that despite the disagreements and obstacles, the end goal was the same. Pine Manor College President Tom O’Reilly also spoke in support of the article and took it as a sign of Brookline’s willingness to work with the community. Article 6: Legislation to help more seniors qualify by raising the income limit for eligibility for the senior tax deferral program. Article 7: Change the interest rate from a fixed 5 percent rate, to a variable rate tied to the going market interest rate for the senior tax deferral program. Article 8: Create an aid to the elderly and disabled taxation fund, as well as a taxation aid committee to manage that fund. Article 9: To authorize the selectmen to file a petition with the state to distribute 35 additional liquor licenses for all types of alcohol and five additional licenses for beer and malt beverages. What happened: Town Meeting members picked up Article 9 in a somewhat heated debate. Town Meeting and Advisory Committee member Janice Kahn questioned why the advisory board did not hold public hearings or gather public input before drafting the article. The subcommittee did hold hearing and made recommendations to change the article but the Advisory Committee did not take up those recommendations, according to Kahn. “Which leads me to question why we even had a process if we were urged to change nothing,” said Kahn. A particular point of concern for Town Meeting members was that some of the licenses would be tied to specific sites. Several argued that this would create an unfair environment for businesses. Franco stressed that while some licenses would be attached to specific addresses, anyone looking to obtain a liquor license – including tenants of addresses with attached licenses – would still have to apply and go before the board for approval. 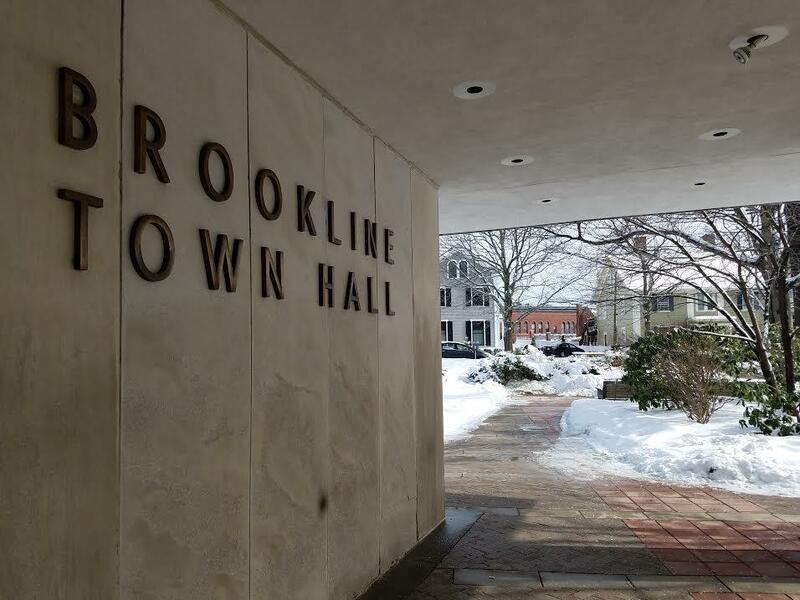 Those in favor of the article argued that the additional licenses were needed to help draw in businesses like restaurants and boost economic growth in Brookline. What is more, they argued there was no time to waste given the legislative schedule, any delay could result in the span of years before the town received additional licenses. Article 16: Amendment requiring the town to post electronic “information” in addition to meeting notices and agendas. Vote: Unanimous vote passes motion to refer the article to the Board of Selectmen for study and to produce a report. What happened: While the boards and committees supported posting electronic “information” there was disagreement over the language of the article and how to define “information” and what documents would qualify. As a result, the petitioner, Neil Gordon, motioned to refer the article to the selectmen. Article 18: With support from the petitioner this article was amended from its original proposal to change the name of the Board of Selectmen to the “Board of Selectwomen.” As amended, article 18 proposed changing the name to refer to selectmen as “select persons”. What happened: Petitioner Michael Burstein spoke in support of the amendment saying that his intention with the article was not to mock but to demonstrate the need for inclusivity. “Women are woefully underrepresented in elected positions,” Burstein said. “It’s easier to say, it’s less ackward and it seems to be the most popular,” said Selectman – now Select Board member – Heather Hamilton. Article 19 proposed changing selectman to “Select Board member”. While speaking in favor of “select persons” Hamilton shared how she had been hesitant to run for the board at first, fearing she would be labeled as someone who did not belong. Article 19: Change the name of the Board of Selectmen to Select Board, referring to the selectmen as “Select Board members”. At the start of Special Town Meeting, Town Meeting Members voted to defer articles 10 through 15, 20 and 21 to Nov. 15 when Special Town Meeting resumes.